The WSU Cooperative University Dairy Students (CUDS) visited Watts Brothers Dairy to learn more about Jersey cattle management. Two managers and the veterinarian of Watts Brother Dairy are alum of the Department of Animal Sciences and CUDS. 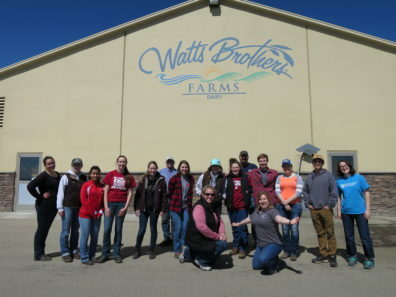 Thank you Watts Brothers Dairy for allowing us to visit!